Friendly people and a beautiful culture are what makes holidays in Tanzania unique. Tanzania is most famous for Serengeti National Park, one of the best wildlife destinations on the planet. The park is home to those big game animals and is the perfect place for a safari. The wildlife and national parks of Tanzania steal away all the limelight, but the country’s beaches are also known to be equally magical. 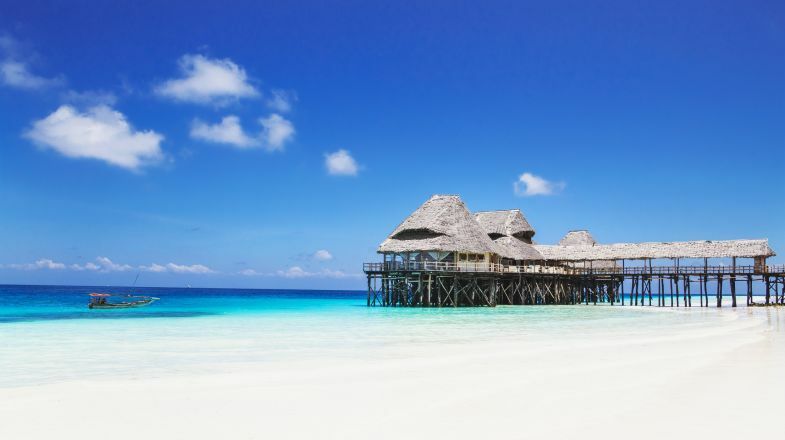 Tanzania is surrounded by islands that offer sleepy villages steeped in centuries-old culture and Swahili traditions and the powdery beaches that simply blow you away. Mount Kilimanjaro, another highlight of Tanzania, can be conquered by the most inexperienced hikers as well, as long as you carefully acclimatize as you ascend, and have the willpower to summit. A trip to Tanzania would be incomplete without visiting the markets and mosques of Stone Town in Zanzibar. Get a bird’s eye view from the peaks of Mt. Kilimanjaro. Experience the Serengeti and see the variety of wildlife it has to offer. Learn about the variety of primate in the Mahale Mountains National Park. Soak up the sun on the Eastern coast of Africa at Unguja, Nugwi, or Matemwe Beaches. Swim with the fishes at Mafia Island, or get an in depth olfactory experience in the Spice Islands. Plan time to see the country; it is vast and takes time to experience. Be on the lookout for creatures that are native to Tanzania, like the Kilimanjaro Shrew, or the Highland Rain Frog. Take the train; many places can be reached by railway. Read up before you go; there is plenty of literature on Tanzania. Pack light; travel is a little more complicated there, so make sure you pack for it. Don’t stick to just the tourist attractions; there is a lot to see that might be a little off the beaten path, like visiting the Underwater Room at the Manta Resort. Keep in mind that the more remote you are, the spottier your reception will be. You won’t be cut off completely, but it will be harder to get a connection. Tanzania has seasonal weather so please do check up on best time to visit Tanzania before planning your tour. And if you’re still hunting for more things to do and places to explore in Tanzania, do check out our Tanzania Travel Guide for more information.